What’s a meta description and why is it important for your SEO efforts? You must have heard the phrase “Change is the only constant”. In SEO, this holds true on another level! Just when you’re about to get familiar with the new SEO updates and developing strategies for it and BAM! Google rolls out another one. In fact, Google is reported to change its search algorithm around 500 to 600 times each year. I guess somebody doesn’t like things the way they are, eh? Now, before you panic and get furious at Google for changing the algorithm once again, understand things from their perspective first. Google wants to keep its users happy. Period. The primary reason why Google keeps tweaking the SEO algorithm is to make sure that its users always get exactly what they search for. It’s in their best interest to provide the best result to its users so that they get the most value and keep coming back to use its search engine. This means constant tweaking to see what works and what doesn’t. So are things completely out of your hands? Luckily, there are elements in the SEO domain that aren’t likely to become entirely irrelevant. Focusing your efforts on those elements can help you in the long term no matter what algorithmic changes Google brings on. One such aspect of SEO is the meta description. Right from the beginning, meta descriptions have been an essential part of a SERP (search engine results page). But this begs an important question- what exactly are meta descriptions and how can they help you rank better in the Google algorithm? Before we go into the details, let’s see what are meta descriptions. Google wants content creators to create better websites, experiences, and content for its users. But when it comes to using content to improve the value of a webpage, it isn’t all about the copy on the page. The title, URL, and meta descriptions all play a huge role in determining how valuable a content is to users. Meta descriptions play a big role in search results. A meta description is the snippet of information that exists below any link of a search result. It’s a short paragraph that describes what the link is all about for the users and Googlebot to understand and comprehend. As you can see, its a short blurb describing the content of the page to help provide additional information to the searcher. Of all the elements of your SERP, the meta description is arguably the most important part of your content in providing a better user experience. Meta descriptions are a part of your frontline efforts for trying to rank well on Google SERPs and forms the first impression of your content in the search page. While customers are still off-site, a meta description provides value to users upfront- by letting them know that the content of the page in contention is relevant and valuable. With Google increasingly prioritizing mobile-first user experience, optimizing your link for meta description is now more important than ever. Check out this meta description by famous SEO website, Moz.com. By adding the phrase “backed by the largest community of SEOs on the planet“, Moz builds credibility and authority in the SEO space and tries to gain your trust by stating that its community involves the best of the best out there. The main goal of a meta description is to convince and persuade the searcher to click through to your website. The more users visit your website, the more eyeballs you’ll have on your content, and thus, the more relevant your content will appear to Google. Write a great meta description and you might see your website shoot up in Google rankings, which we all know, is good for business. Thus, meta descriptions play an important role in helping you increase the click rate to your website/blog. Facebook and other social media sites use a page’s description tag when the page is shared on their sites. Without the meta description, social media sites might use the first line of your first paragraph. Now, depending upon the first text on your page, this might turn out to be a bad experience for people discovering your content on social media. 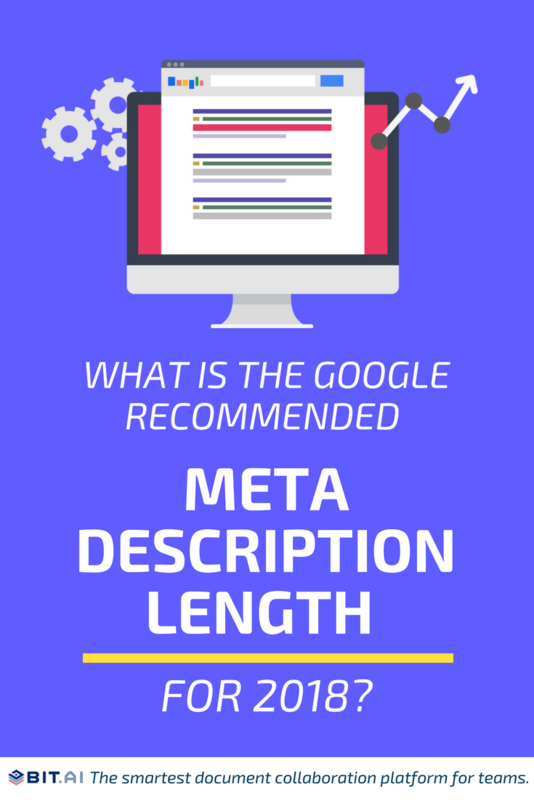 Now that you know the importance of writing a meta description to increase your link’s value in Google SERP and in the eyes of the searchers, we now will cover the characteristics of an ideal meta description. Writing a meta description is one thing, but writing a good one requires some effort. Don’t worry, just follow these easy steps and craft the perfect meta description! Google recently changed the maximum allowable characters in the meta description tag to 155, after switching it to 320 late last year. The best advice would be to not much care about the meta description length of the copy. There’s no “right number” of characters to include in your meta description. Try to keep meta description length above 130, depending upon what limitation Google has set at the time you’re reading this. The general rule of thumb would be to focus your energy on creating a great copy rather than getting too worked up upon the character limit. If your meta descriptions are plain and boring, they won’t be helping you get clicks or move up in the rankings. The ultimate goal of a meta description is to get people to click on the link above it. Be unique and interesting and use an active voice to persuade the searcher. Check out this meta description by Nike which explains boldly what a searcher can expect by going to its website, no matter where they are in the world. The description is pretty on point, specific, minus all the fluff. They are bound to get a lot of love from Google! Meanwhile, folks at Puma are not too big on the idea of giving any information to its searchers. Which one of the above shoe brand do you like better? Incorporating a short call to action or CTA in your meta description is a great way to boost your click-through rate. A well written and interesting CTA would entice users and would leave them no choice but to click on the link. Adding phrases like “Click to know more”, “Learn more”, “Try for free”, “Get it now” can do wonders for your meta description. Check out this search result for Zara’s website. Their meta description starts with the big bold “SALE” and ends with the word “discount”. A perfect CTA that will surely lure in the customers. Lacoste does something similar by including the fact that they provide free shipping on orders above $75. I personally loved Lacoste’s meta description as apart from it being specific, and to the point with a nice call to action, they also included direct links to men and women’s sections of its website for quick and easy navigation, along with the word “sale” in it. Bravo for the effort!! Don’t Forget About Your Keywords! Not including your focus keyword in your meta description is a common and at the same time, deadly mistake. You include your focus keyword in your blog posts, website pages, and on social media. But by neglecting its presence in the meta description, you are hurting your chances of ranking well on search engines big time. If the user search keyword matches the text in the meta description, Google will be more inclined to use that meta description and highlight it in the search results. On doing a Google search for ‘meta description’, one of the top results is a post by SearchEngineWatch.com. See how Google has highlighted every instance when the words “meta description” appear in the description. The usage of the keyword in the meta description is subtle and matches the searcher’s query. reaping indicates Google that the website’s content might be useful to the searcher, hence it gets awarded as a 1st-page result. Finally, make sure that your meta description matches the content of the link for which it is written. Google’s algorithm is smart enough to figure out when you’re trying to get those extra clicks by click-baiting visitors with a false meta description. Even if you do somehow bypass the algorithm, it’s probably not a good idea to write irrelevant meta descriptions as it will probably increase bounce rate and might frustrate the visitor to the point that they never come back again. Meta descriptions are important. A bit too important to ignore. They have been around for a long time and aren’t going away anytime soon. The sooner you start taking meta descriptions seriously and start writing a unique, interesting, engaging and relevant meta description, the sooner you’ll be able to see the results you want. Since meta descriptions are your first introduction to the user searching for something, you have to make extra effort to make it great. A well-written meta description is also an early indication to Google that the link is indeed valuable and thus has a higher chance of getting ranked in the SERPs. So what are your thought on meta description? What strategy do you use to make it more effective and enticing? Let’s have a chat in the comments below!